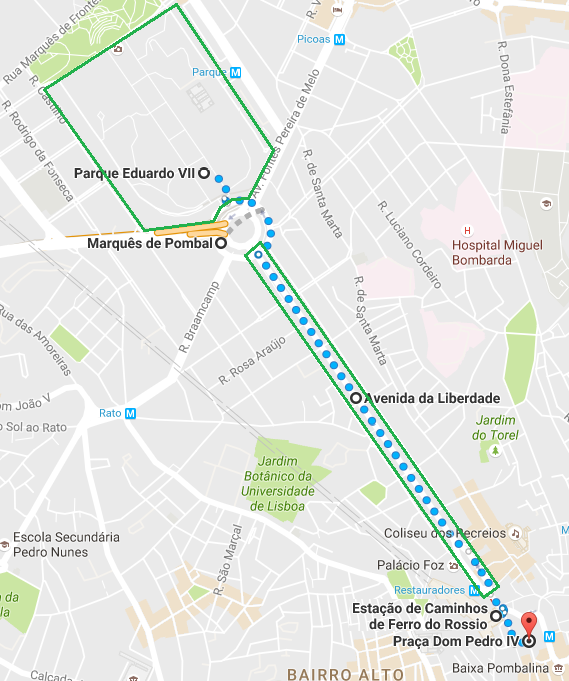 Start in the Marquês de Pombal roundabout (Marquês de Pombal metro station, yellow and blue lines) and enjoy the Parque Eduardo VII park with its gardens and greenhouses. ​Return to the roundabout and stroll down Avenida da Liberdade and admire the mixture of 19th century buildings with modern design and brand stores. 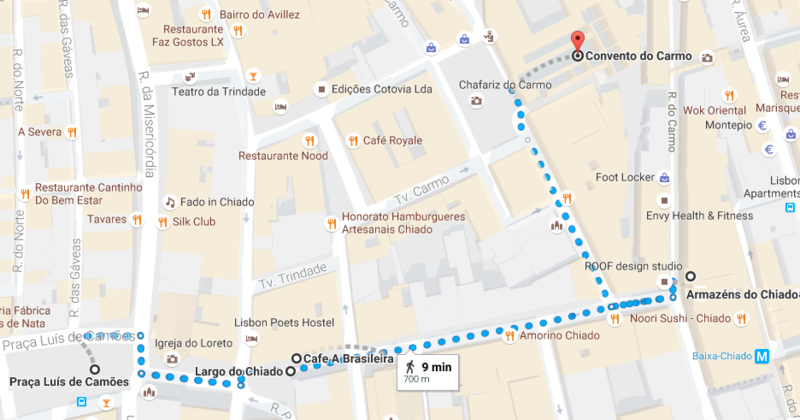 Finish by admiring the Rossio Train Station façade and the surrounding area in the Rossio square (King Pedro IV square) where you can taste the famous ginginha liquor (a tipical liquor made of sour cherries). 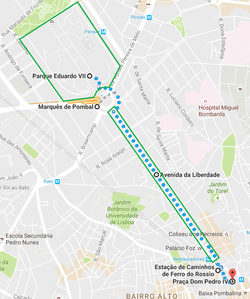 Starting at the Rossio square (Rossio metro station, green line), stroll down Rua Augusta, a pedestrian and lively street, full of outdoor cafes, clothing stores and street entertainment. 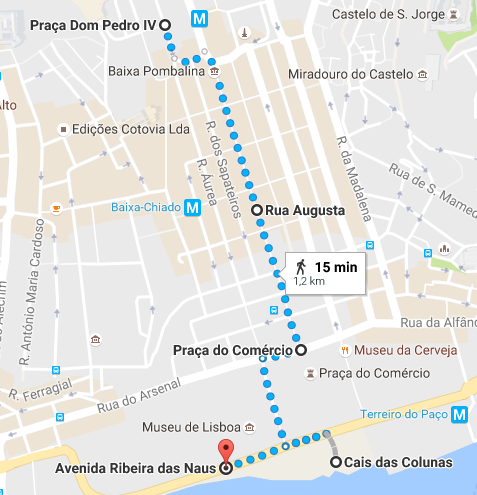 ​Near the end of Rua Augusta, climb to the top of the Arco da Rua Augusta to enjoy the view over the river Tejo (to the south) and over the Baixa Pombalina (to the north). 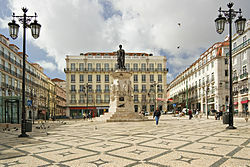 Again, at ground floor, visit the Terreiro do Paço (Praça do Comércio), one of the largest main squares of Europe, with the particularity of being open to the river on its south side. 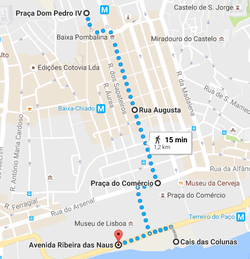 Walk to the river front at Cais das Colunas and enjoy the sunset in the river beach at Avenida Ribeira das Naus. 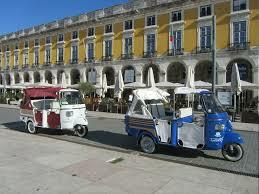 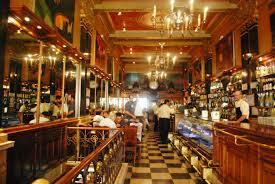 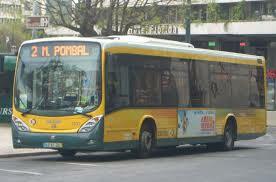 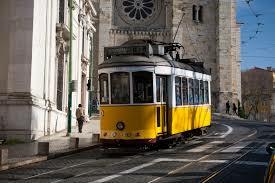 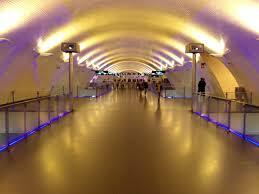 Start at Chiado (Baixo-Chiado metro station, green and blue lines) to visit the oldest commercial area in Lisbon. 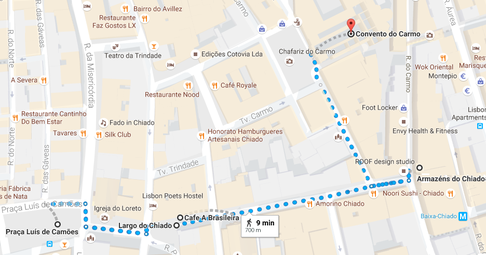 Visit the Luís de Camões square, whose name is in honour of possibly our most famous poet. 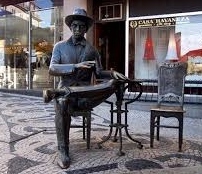 Stop by the Brasileira Cafe for a coffee at the esplanade and take a picture with one of our most famous writers: Fernando Pessoa. 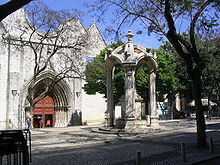 Visit the archaeological museum located at the ruins of the Convento do Carmo. 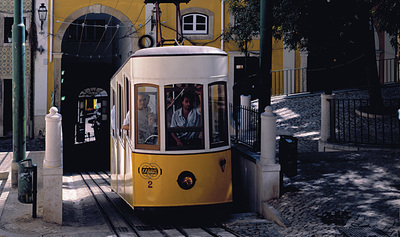 ​​Do not forget to visit the Castelo de São Jorge in order to appreciate possibly the best view of Lisbon and the river Tejo.